Sean Szymkowski February 5, 2019 Comment Now! 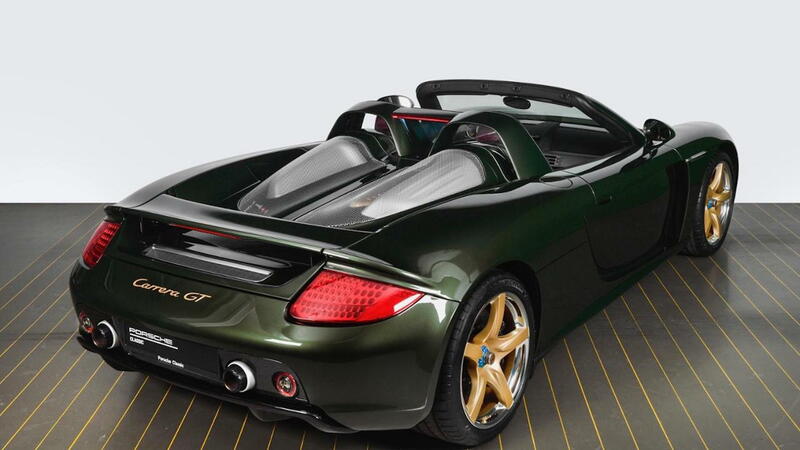 After 15 years, this Porsche Carrera GT received a new lease on life. 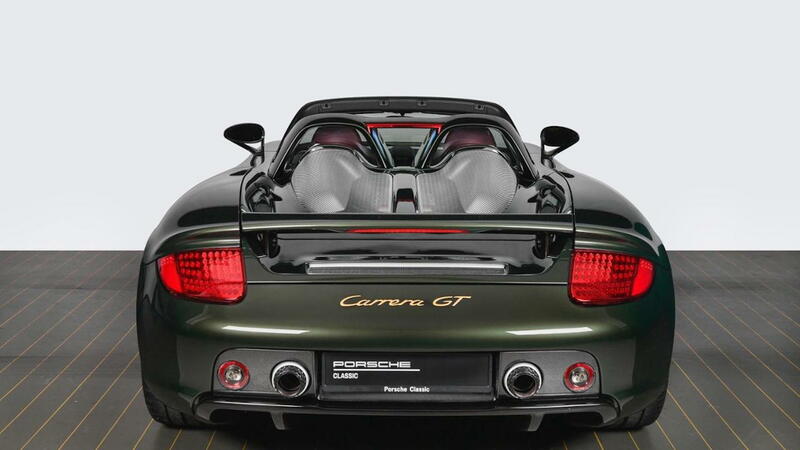 At the owner's request, he or she commissioned Porsche to perform a full restoration to make the Carrera GT even better than when it came off the assembly line, and Porsche shared the results in a Monday announcement. Porsche Classic spared no expense with the request, which we assume involved the owner handing over a blank check. The team completely disassembled the supercar down to its individual parts. Each part was separately checked and refurbished, or replaced as needed. The engine and transmission received a complete overhaul. Porsche Classic also spent 350 hours manually sanding and recoating every carbon-fiber component. The material tends to fade and turn yellow with time. How detailed did the team get? Even the carbon-fiber monocoque was sanded and recoated. 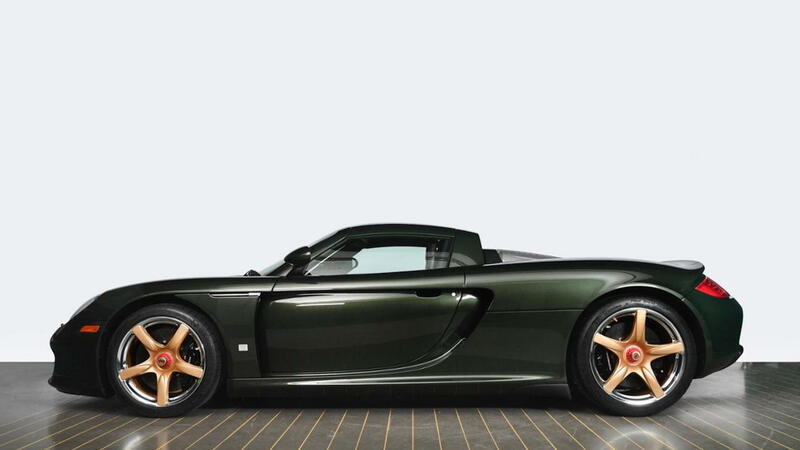 We don't know what color the Carrera GT was before the restoration, but the owner chose to repaint the supercar in Oak Green Metallic, a color Porsche never offered on the car when it entered production last decade. 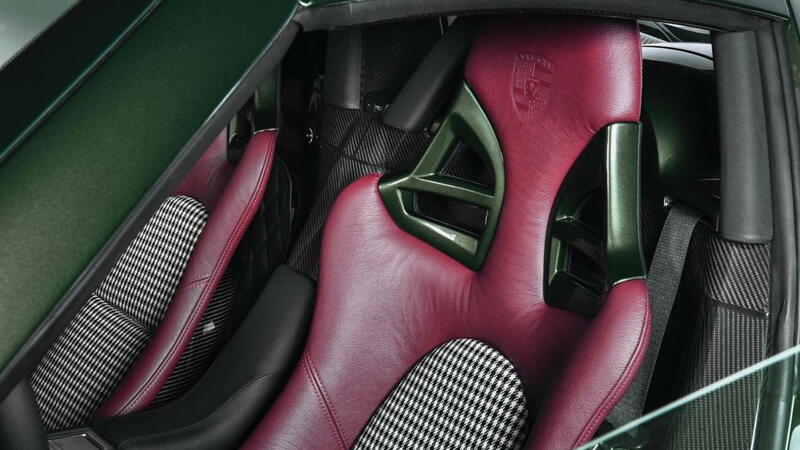 The color first appeared in the 1970s and we think it looks spectacular on the Carrera GT's flowing lines. The car was also treated to new 5-spoke magnesium wheels finished in silver and gold with blue center caps on the passenger side and red caps on the driver side. The wheels presented a challenge, however. Porsche said they take inspiration from vintage BBS racing wheels, which also featured gold spokes and a silver surround. But, polishing the wheel ring would have altered the wheel material. So, Porsche decided to make the outer rims from actual silver to create a chrome-like finish. The wheels also received a protective coating to keep the silver from oxidizing. The spokes, meanwhile, were finished in painted gold, and the accent color makes its way to the "Porsche" lettering on the brake calipers and exterior badges. The steering wheel also gains a 12 o'clock swath sewn in green and gold. 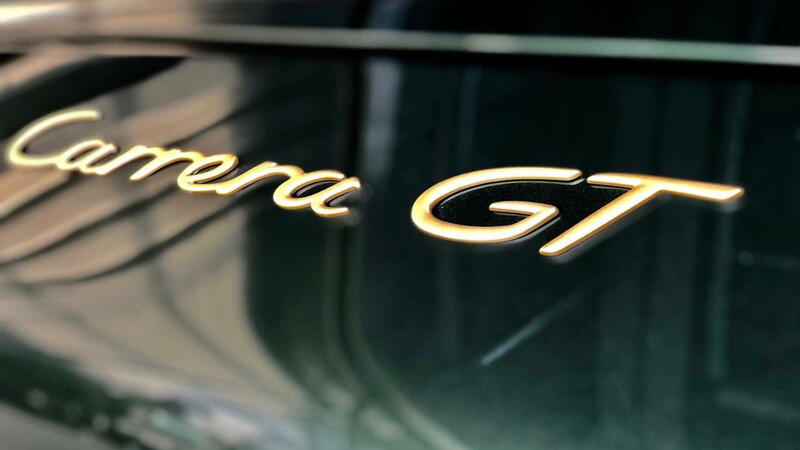 The car was delivered to the owner at a gathering at the Porsche Experience Center in Atlanta, and we can only imagine the smile on his or her face.